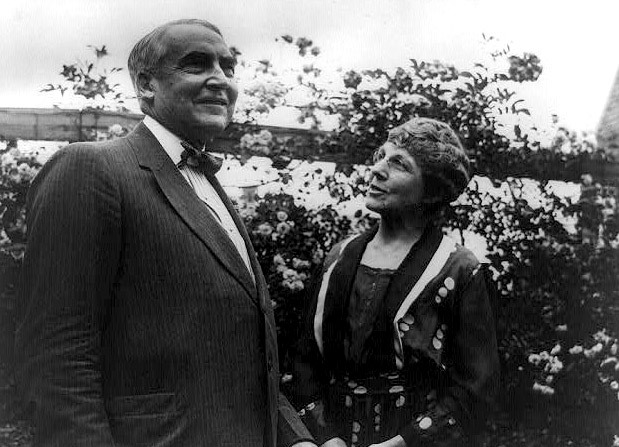 Florence Kling had a music student whose brother was Warren Harding, who was born on November 2, 1865. The couple met at the piano where Florence taught. She was determined to nurture a relationship, and he played hard to get. But they fell in love and married with the “Wedding March” played by a harpist in the new home they had built for their new life with one another. Francis Russell, The Shadow of Blooming Grove: Warren G. Harding in His Times (New York: McGraw-Hill, 1968). This entry was posted in Uncategorized and tagged Culture, Leadership by Ronald Grey. Bookmark the permalink.